Addiction is very often the product of an underlying mental health issue like depression, trauma, or anxiety. Conversely, the issues that an individual often faces during their active course of substance abuse can result in the development of lasting psychological problems. When a person suffers from co-occurring addiction and mental illness, they need what is called dual diagnosis treatment. The Substance Abuse and Mental Health Services Administration (SAMHSA) reports that over eight million Americans suffer from a dual diagnosis issue. 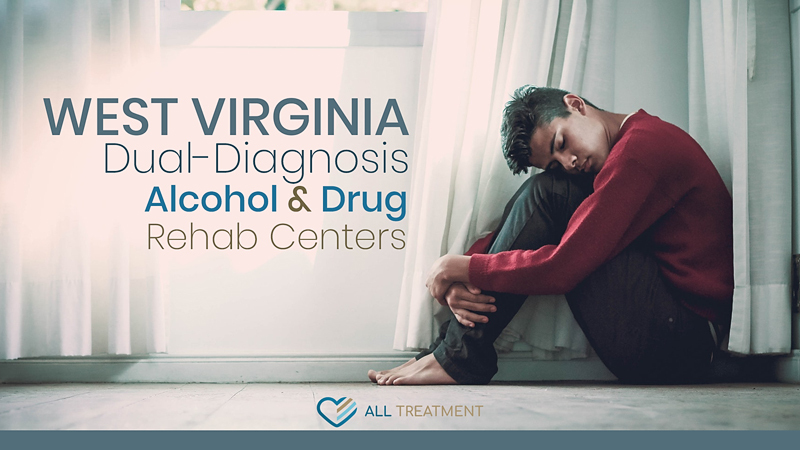 There are a variety of West Virginia dual diagnosis alcohol and drug rehab centers that help patients address the full breadth of their co-occurring substance use and mental illness so they can reclaim their lives and regain their health. Dual diagnosis alcohol and drug rehab centers allow patients to get quality and effective help for the immediate medical needs associated with their active substance abuse while addressing the role of their mental illness in the development and continuation of their drug or alcohol use. They work with an experienced and qualified mental health professional to determine the relationship between their addiction and mental illness and work toward treating each condition separately yet simultaneously. If you or someone you care about is struggling with co-occurring addiction and mental illness in West Virginia, browse our database of West Virginia dual diagnosis alcohol and drug rehab centers to find the best option.